Be A Turnover Pro: Tips and tricks on becoming a top service provider! Always communicate with your client in a prompt and courteous manner. The first time you meet with your client, make sure that you have a checklist that details their needs and be clear of their expectations. Always ask questions and check in with them to be sure they are satisfied with your service. Assure them that they can express any concerns or suggestions! Remember that your reputation is on the line. Take pride in the impression that you leave with your clients. Going above and beyond expectations goes a long way! Cleaning supplies are to a Turnover Pro are as tools are to a mechanic. Be sure to communicate with the client if you are unsure about provided supplies they may or may not have. I always ask if they have preference as to what cleaning supplies they want me to use. Keep your scheduled cleanings and arrive on time. Your level of commitment determines your reputation. When you know what their preferences are, it’s much easier to keep them happy! Some clients like sheets sprayed with Febreze, while others may like their linens washed with free and clear detergent. Some clients like food left in the refrigerator, while others may not. Clients love to feel like you are providing tailor made service to fit their needs! Let the client know if they are running low on toiletries and always report damages. As the Turnover Pro, you are usually first to see these things so as tip #1 states, always communicate! Most importantly, PAY VERY CLOSE ATTENTION TO DETAIL! Every detail, big and small, speaks volumes to your skills and efforts as a professional cleaner. Make sure faucet heads, handles, mirrors, windows, and all visible surfaces are free from fingerprints and residue (glass cleaner works wonders). Fold the toilet paper in a triangle (guests and homeowners love the little touch). Always clean from ceiling to floor in every room, and double check your work before you leave! Implementing these tips and tricks as well as maintaining a positive attitude will improve your ability to gain and keep clients! 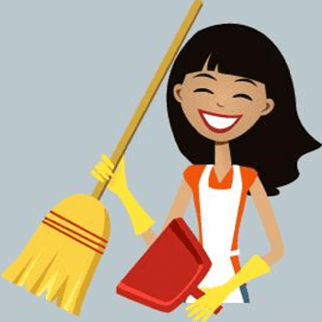 Don’t just be a house cleaner, be a Turnover Pro! About the Author: Taraea is Turnover professional based in Aurora, Colorado. To view Taraea’s profile or book her for your next short term rental cleaning visit Taraea’s profile or find an Airbnb cleaner in your area.